I've been kinda obsessed with baby moccasins lately. One of my favorite places to shop for accessories is on Etsy. If you ever browsed Etsy, I'm sure you know that it's a treasure trove of awesomeness. And the best part? Everything is hand-made by artisans. 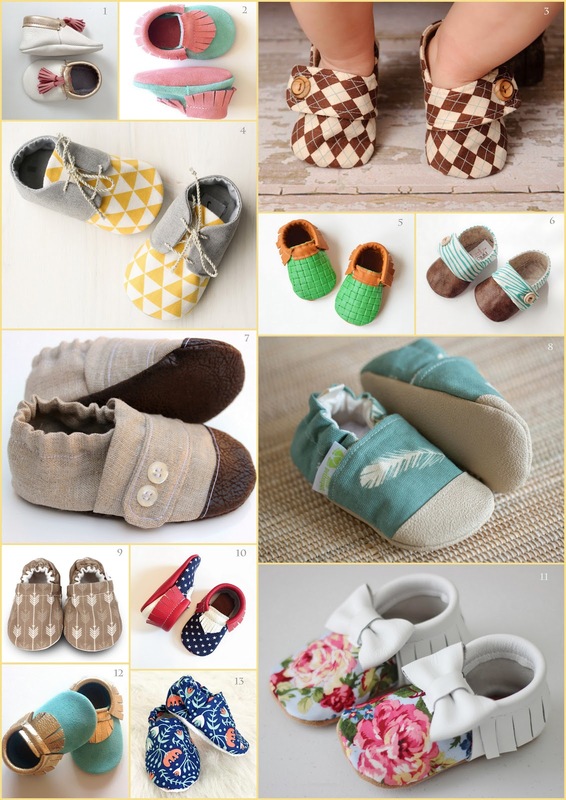 Here is just a small sample of incredibly cute baby shoes that can be found on Etsy.